Irish Mythen was named Music PEI’s 2016 SOCAN Songwriter of the Year for her song “Gypsy Dancer.” This award was the first of 34 awards handed out during Music PEI’s May Run Music Festival at the Songwriter’s Concert at King’s Playhouse on Wednesday, May 18th. Music PEI’s May Run Music Festival ran from May 18-22nd and the awards were handed out throughout the week in Charlottetown, PEI. The festival wrapped up Sunday with an awards party in the afternoon and a closing concert at the Delta Hotel. Singer-songwriter Irish Mythen, currently on tour in the US, says this about the award: "Lyrics to me are paramount and so I'm very proud to win this one. Huge thanks to Socan and of course Music PEI." The winning song is from her third, self-titled LP, an album that also picked up the 2015 ECMA for Roots/Traditional Solo Recording of the Year. Music PEI, founded in 2001 as the Prince Edward Island Music Awards Association, is a non-profit member services organization devoted to advancing careers of Island musicians. Music PEI actively seeks ways to promote, foster and develop artists and the music industry on PEI. The Association acts as an advocate for the Island music industry and a representative at the national table. The May Run Music Festival brings both provincial and national artists to an Island and Maritime audience. The festival lines up annually with the Victoria Day long weekend, allowing visitors from across the water to come and enjoy spectacular music with an authentic Island feel. True power inspires awe, and Irish Mythen packs a lot of it – lyrical, musical, and personal – into a relatively small frame. You can keep up to date with Irish on Facebook and Twitter or at http://www.irishmythen.com. Folk Music Canada will be launching a new national showcase and industry event, to be held in Toronto from November 30 to December 3, 2016. Called FolkNorth, the gathering will spotlight export showcases, foster Canadian folk industry and provide professional development to current and future generations of folk presenters and leaders. Anchored in the goal of expanding market opportunities for the Canadian folk industry, and spotlighting the strength of Canadian folk talent on a world stage, FolkNorth will showcase 24 of Canada’s best folk acts. The event will also include showcases featuring 8 international artists as part of reciprocal partnerships with foreign music organizations destined to increase international trade relationships. To complement the showcasing activities, FolkNorth will invite 40 ‘buyer’ delegates to attend the event, and organize over 500 B2B meetings to foster market development. “The Canadian folk music sector is a vibrant, productive and prolific component of the Canadian cultural fabric and industry. It has, for decades, given rise to some of Canada’s most cherished cultural treasures, and some of our strongest artistic exports,” said Tamara Kater, Executive Director of Folk Music Canada. “With FolkNorth, we are thrilled to finally offer a space for our national folk music industry to focus on growth, development and investment for the future. With an anticipated attendance of 150 industry delegates, three-day event is designed to be small in scope, focused on offering high-level opportunities to established Canadian artists, agents, managers and publicists, as well as providing the Canadian folk presenting community professional development opportunities. 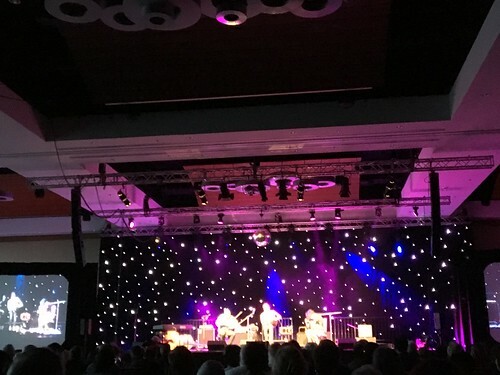 In keeping with its mission, and as a response to the needs of the Canadian folk sector, the board of directors of Folk Music Canada has identified three key objectives and the related programming to be carried out at FolkNorth, an overview of which can be found below. Applications to showcase at FolkNorth will open on during the week of May 23, and close Tuesday, June 14, 2016 at midnight PST. Only export-ready and exporting artists will be considered. More information about event registration, industry opportunities, cost to showcase and other FolkNorth activities will be announced in the coming weeks. Folk Music Canada will continue to offer an array of showcase and market development opportunities, at Canadian and international events, throughout 2016-17. For more information on those activities, please consult our website here. FolkNorth is made possible with the financial support of FACTOR, the Canada Council for the Arts, The Government of Canada and of Canada’s private radio broadcasters, and the support of our media and promotional partner, SpinCount. Folk Music Canada takes a broad and contemporary view of what defines Canadian folk music as a genre. In fact, we believe that the very process of challenging the boundaries of folk music helps to define it. We encourage artists, and their representatives, from the following genres (and beyond) to consider participating in this event, and our ongoing activities: singer-songwriter, world, blues, contemporary folk, indie-folk, Americana, Canadiana, trad, Francophone and more. Folk Music Canada is a membership organization that supports and promotes the Canadian folk music community and its industry. We work to raise awareness about the importance, diversity and cultural value of all types of folk music in Canada. Visit Folk Music Canada on the web, “like” on facebook or “follow” on twitter. May Run Music Festival and Bell Alliant Canadian Song Conference focus on song-writing, music publishing and much more this week in Charlottetown! Ticket are now on sale for May Run Music Festival and the Bell Aliant Canadian Song Conference! May Run Music Festival is the Island's largest Annual celebration of music and this year will feature more than 60 Island artists plus a few special musical guests from away in performances across the Island. May Run Music Festival kicks off on May 18th and runs until May 22nd and will feature performances by Music PEI award nominees Tim Chaisson, Vishten, Sorrey, Dylan Menzie, Coyote, Nathan Wiley, Ten Strings and a Goat Skin, Gordie MacKeeman and his Rhythm Boys to name only a few at venues across the Island. The Music PEI Awards will be handed out at events throughout the week including the newly created Awards Party on Sunday afternoon. The Closing Concert and After Party on Sunday May 22nd will be at the Delta Convention Centre. Don't forget, Monday is a holiday! The Bell Aliant Song Conference is Music PEI’s conference dedicated to studying the art and commerce of songs. Kicking off on May 19, the conference brings together songwriters from PEI (Tim Chaisson, KINLEY, Dennis Ellsworth, Dylan Menzie), Nova Scotia (Carleton Stone), New Brunswick (Andy Brown), Newfoundland (Brianna Gosse) and Ontario (KASHKA) for co-writing, pitching sessions and a series of concerts as well as music industry professionals from the US and Canada. Panels and workshops will focus on songwriting, music licensing, producing, music rights and more. Keynote Speaker for 2016 is Bernie Finkelstein founder of True North Records. The Bell Aliant Canadian Song Conference takes place in Charlottetown May 19-21. www.cansongcon.com for detailed descriptions on panels and delegate information. ​(Toronto, ON) -- The new album from young African-Canadian roots phenom Kaia Kater couldn’t come at a better time. As a new generation takes the reins, American roots music is needed more than ever to remind us of the troubled pathways of our own history. Born of African-Caribbean descent in Québec, Kaia Kater grew up between two worlds: one her family’s deep ties to Canadian folk music in her Toronto home; the other the years she spent learning and studying Appalachian music in West Virginia. Her acclaimed debut album touched on this divide, but her new album, Nine Pin (set for release May 13, 2016), delves even further, and casts an unflinching eye at the realities faced by people of colour in North America every day. Her songs on the new album are fueled by her rich low tenor vocals, jazz-influenced instrumentation, and beautifully understated banjo, and they’ve got as much in common with Kendrick Lamar right now as they do with Pete Seeger. Nine Pin is already garnering critical acclaim, having received praise from outlets such as Rolling Stone, CBC Musicand The Roots Music Report. Recorded in just one day in Toronto, the album was produced by both Kater and acclaimed Canadian Chris Bartos (The Barr Brothers, Jonathan Byrd, Sarah Harmer), who also produced her last album, Sorrow Bound (2014). Few artists could pull off such a polished, cohesive album in one day, but Kater felt that this actually lent focus to the project. As a concept album, Nine Pin weaves between hard-hitting songs that touch on modern issues like the Black Lives Matter movement (“Rising Down,” “Paradise Fell”) and more personal narratives speaking to life and love in the digital age (“Saint Elizabeth”, featuring Joey Landreth of The Bros. Landreth). And while these larger stories are deftly crafted, this is really an album of moments. Kater’s a cappella voice speaking to the loneliness of a city in “Harlem’s Little Blackbird” while solo dance steps echo in the background, the muted hesitancy of Caleb Hamilton’s trumpet breaking the trance of “Little Pink,” the smoke of electric guitar that cuts through “Saint Elizabeth,” the wave-like ebb and flow of piano behind the plaintive love poem “Viper’s Nest…” All of these moments point to an artist wise beyond her years, and one who is crafting a new voice on the Canadian musical landscape. If elements of Toni Morrison seem strong in Kater’s lyrics, that’s no accident. As Kater explains: “Toni Morrison once said: ‘If there's a book you want to read, but it hasn't been written yet, then you must write it.’ I tried to understand those words for a long time. I pored through her novels at 15, and again at 18 as I arrived in the steep hills of West Virginia from Canada. I read her novels at 20 on a series of small buses headed through the mountains of Matagalpa, Nicaragua. Music and poetry are the languages I speak. Any time I travel, words come walking back with me. They have souls and histories. They create me and I create them.” Nine Pin may be the opening chapter of Kaia Kater’s book, as Morrison would say, and in writing her own story, Kater speaks powerfully not only to her heritage, but to her vision of what this music can mean to a new generation.